A gorgeous spot surrounded by pine trees at the edge of the National Park in Majorca Cala Barca is ideally located for a holiday to remember. It’s just a few miles to Cala d’Or to take advantage of the fantastic restaurants, or you can simply relax on the splendid beaches in the sunshine. Get a great value holiday now for summer in Cala Barca with Purple Travel. 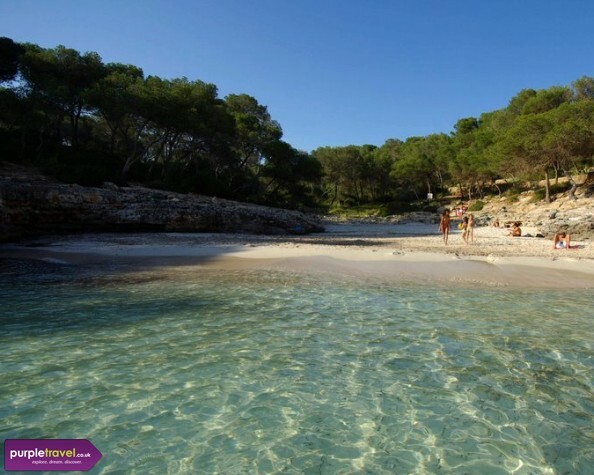 Talk to our expert team for the best travel deals to Cala Barca in . Get a car to get around! You definitely need a car to get around easily here. It’s a good place for exploring other parts of the island, i think that there’s not enough happening to keep you going for over a week either. The views are nice and it was a pleasant holiday for us. A fab resort, we were all inclusive and I was impressed with the range of drinks etc that were on offer, the kids enjoyed it too, but it was a little on the quiet side.